When you babysit a grandma, if you're lucky . . . it's a sleepover at her house! And with the useful tips found in this book, you're guaranteed to become an expert grandma-sitter in no time. (Be sure to check out the sections on: How to keep a grandma busy; Things to do at the park; Possible places to sleep, and what to do once you're both snugly tucked in for the night.) From the author-illustrator team behind the bestselling How to Babysit a Grandpa comes a funny and heartwarming celebration of grandmas and grandchildren. Luna is a farm puppy who loves to dance, and has only known a happy, serene life surrounded by her mother, Mutt, and her siblings, and cared for by Gilberto, the son of farm workers. But now Gilberto and his parents have moved on, and Mr. Thomas the farmer doesn't feel he can take care of a whole family of dogs. He finds new homes for the puppies, not realizing that the man who took Luna and her brother does not have their best interests at heart. Luna and Chief, hungry and scared, are trapped in the smelly barn of a puppy mill—until they take matters into their own paws and find a way to escape. But can Luna and Chief find their way home? 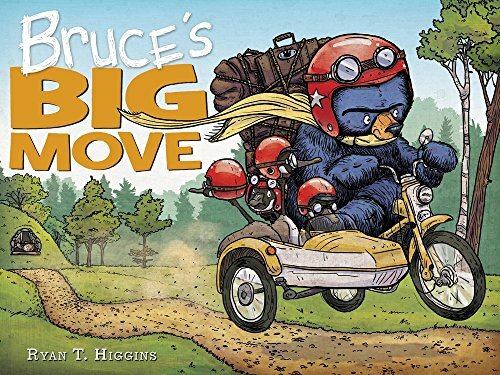 With a lovable cast of animal characters and endearing illustrations, this charming story is a perfect read-aloud for fans of classic children’s novels like Gentle Ben, A Cricket in Times Square, andShiloh. "Princess! Fairy! Ballerina!" is the perfect book for all the princesses, fairies, and ballerinas in your life! Will has no choice. His father drags him along on a wilderness adventure in the footsteps of legendary explorers Lewis and Clark--whether he likes it or not. All the while, Will senses that something about this trip isn't quite right. It is a journey into the soul of America's past, and the meaning of family in the future. In the end, Will must face his own, life-changing test of courage. A father-and-son journey along the Lewis and Clark Trail--from Fort Mandan to the shining sea--offers readers a genre-bending blend of American history, thrilling action, and personal discovery. At last—here from the team behind the beloved international bestseller comes a companion to Goodnight, Goodnight, Construction Site. All of our favorite trucks are back on the construction site—this time with a focus on team-building, friendship, and working together to make a big task seem small! Down in the big construction site, the crew faces their biggest job yet, and will need the help of new construction friends to get it done. Working as a team, there's nothing they can't do! 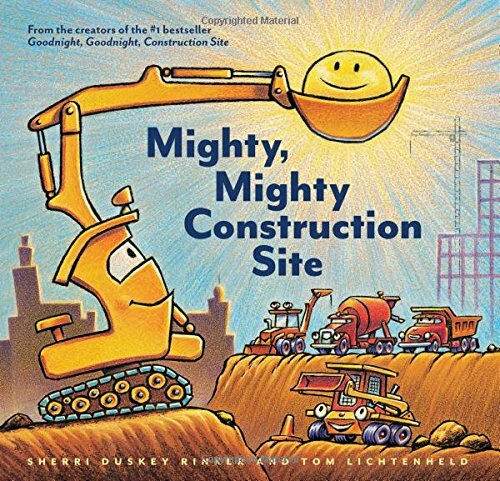 The millions of fans of Goodnight, Goodnight, Construction Site are in for a mighty good time! 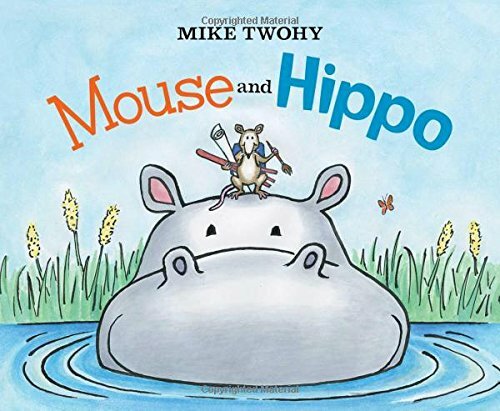 Mouse creates a painting for his new friend Hippo—and Hippo returns the kindness in an unlikely way—in this delightful story about doing your best to make a friend happy! Mouse offers to paint a portrait of his new friend Hippo, but Hippo doesn’t quite fit on Mouse’s canvas. Still Hippo is delighted. In return, Hippo returns the favor for his new friend in the best way he knows how. In a surprising story sure to cause giggles, picture book readers will ask for this book over and over again! After the events of Hotel Bruce, our favorite curmudgeonly bear shares his home with not only his four geese, but three rowdy mice besides! Fed up with their shenanigans, Bruce sets off to find a rodent-free household. But as usual, nothing goes quite according to plan. . .